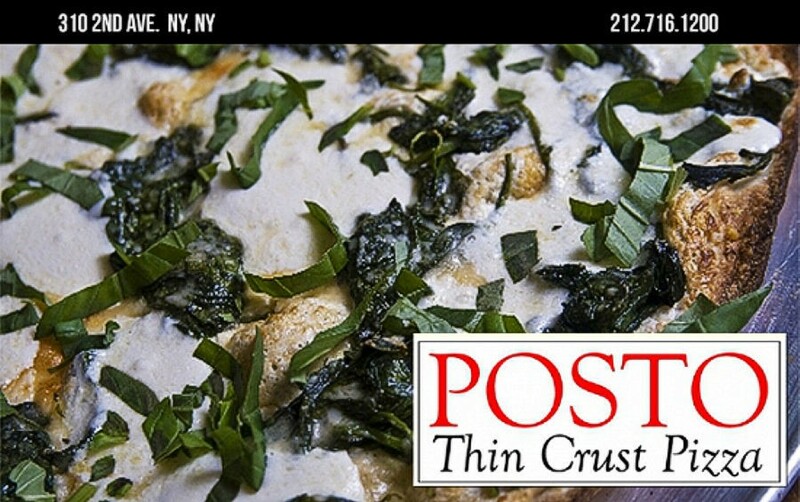 Posto Thin Crust Pizza NYC-Serving Gramercy since 2004. Great food, great service and ambiance. You’ll like it all! Delivery hours: Everyday until 10 PM.